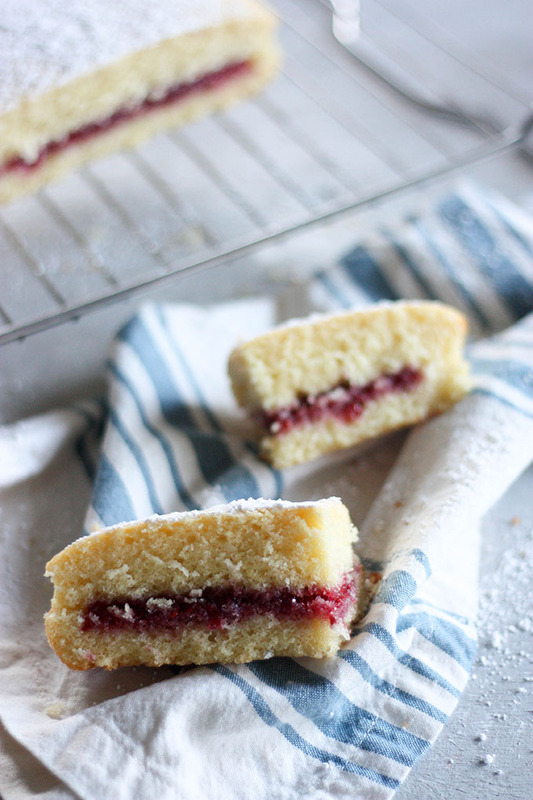 A soft and fluffy sponge sandwiched together with fresh raspberry jam! 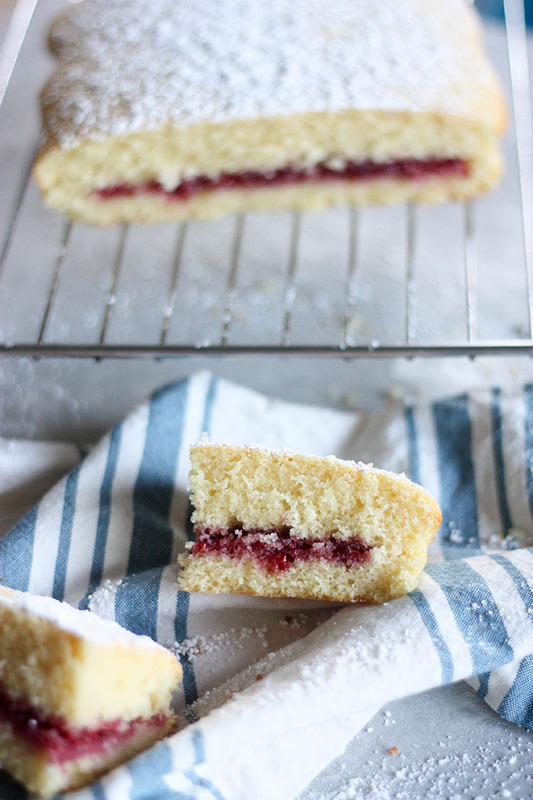 This Victoria sponge cake is the perfect cake for a high tea, or just if you’re feeling peckish and need a lil’ pick me up! How are you all? I feel like it’s been forever since we’ve chatted! What’s been happening? I must admit my heart is feeling a little heavy at the moment after hearing the news from Las Vegas. Thankfully I don’t know anyone affected, but my thoughts are with those people who were. I never really know what to say in these situations, but for now I’d like to take a moment remind you of the importance of spreading love and positivity all day, every day. I can’t believe it’s the end of another month (well, start of a new month)! September was another whirlwind of busyness and I feel like it was only yesterday that we were chatting about August! If you remember, at the end of each month I do a quick round up of the things we’ve been doing! And to be honest, I’m not entirely sure where this month has gone! Because I couldn’t get a post out last week, I decided that the first post of October would recap just what happened last month! So, September in dot points! We started off the month with an epic road trip to Yellowstone National Park! It was one of the best road trip I’ve ever taken and still can’t get over how amazing Yellowstone is! I passed my exam!!!! OMG SO STOKED! Studying for a month paid off and now I have SO much more free time! I made my favourite Yukon gold rosemary fries, and an ultra delicious za’atar naan bread! We’ve been heading to our local farmers markets and planning some beautiful fall recipes for you all! We have both been enjoying some down time after the busy summer season enjoying and organizing our new home! I feel like September was a mix of ups and downs, and I’ve taken comfort in cooking more and more comfort foods. I have forgotten how cathartic cooking for enjoyment can be and how much it can be a way to destress! This Victoria sponge cake was a result of me wanting some down time after work away from studying and I decided to do some baking. Something as simple as a making this cake really helped me unwind! This recipe is an original from my grandma. She always used to make this for us growing up, as did my Mum, and now me! 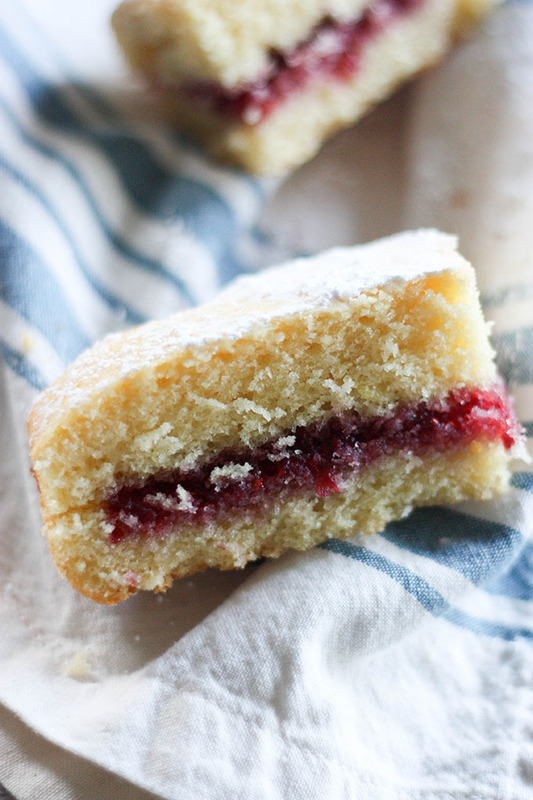 This Victoria sponge cake is a classic British cake, if you’ve seen Great British bake off, you’ve probably seen it! 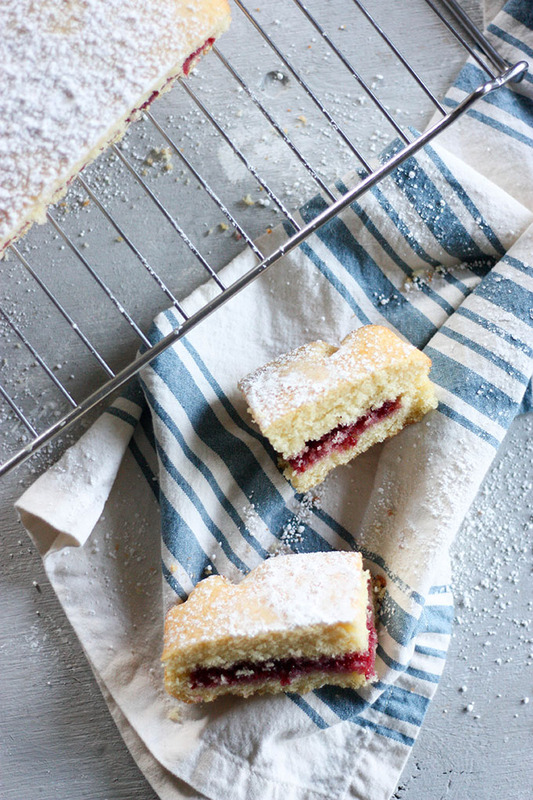 Put simply, this cake is a simple vanilla sponge cake, filled with fresh raspberry jam topped with just a dusting of icing sugar. The combination of the fresh jam really brings out the sweetness of the cake, and it’s hard to resist temptation to eat it all at once! We went berry picking in July and froze a ton of raspberries, so I used them to make fresh raspberry jam and it was to DIE for! Seriously, there is something SO good about making your own preserves from scratch! I’m thinking my next project will be tomato relish! Typically a lot of people will add cream to their Victoria sponge cake, but I have kept my recipe true to my Grandmas, and because I have another little recipe up my sleeve for that in a later date! What are you guys excited about this month? Let’s chat! It’s been a while! I’m SO excited for even more fall produce. Seriously, the apples at the market right now are like crack, but at $2 an apple, some serious self-control must be enforced! I’ve also been loving the heirloom tomatoes and have a great recipe this month for ya that involve some delicious farmer’s market produce! OMG I am actually getting excited about the cold weather, who have I become? 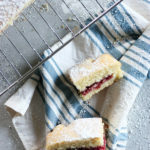 A fluffy sponge filled with homemade jam, this Victoria sponge cake is great for your next afternoon tea party or gathering! Place butter in a small saucepan and heat over low heat until butter is melted. Add butter, milk, eggs and vanilla to flour and sugar mixture. Bake 30 -35 minutes, or until golden brown. Poke the middle with a sharp knife, if it comes out clean the cake will be cooked. Once cooled, cut the cake in half using a sharp knife. Evenly spread raspberry jam over bottom layer of cake, making sure it comes out to the edges without over flowing. Place top half of cake on jammed half. Dust with sifted icing sugar and serve. note 1 - if you don't have self-raising flour, add 2 teaspoons of baking powder to 6oz of all purpose flour and that should aid the cake in rising. note 2 - if you're in Australia, caster sugar is best. In America, regular granulated sugar is fine. note 3 - I use a square 8inch square glass pyrex dish and just roughly place parchment paper in it to line it. It's much easier. If you wanted a fully spuare cake, I'd cut out paper for the bottom and the sides and grease the pan to make it stick. Let’s chat! What are you loving at the moment food wise? How was your September? thanks Milena, it was such a relief! homemade raspberry jam is SO good and iyou’re right even better when you picked the raspberries yourself! Congrats on your exam! It’s such an amazing feeling, right?! 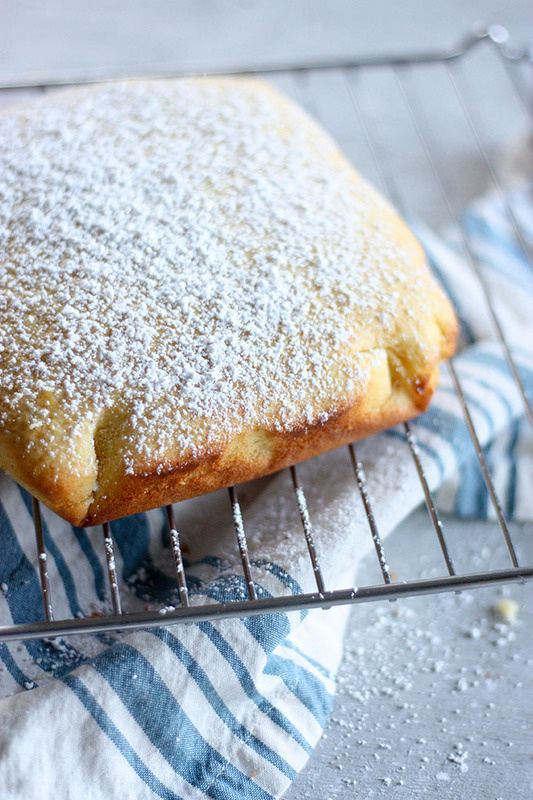 I’m actually pretty grateful for this recipe – my in-laws have a British neighbour that totally deserves a treat, and I know he was craving classic sponge cake a while ago. I will be making this for him stat!! Thank you! such a relief! yess please make it and let me know what you think! and what he thinks, geez pressure is on having a British recipe baked for a proper British person eep! I hope he thinks it’s almost authentic!